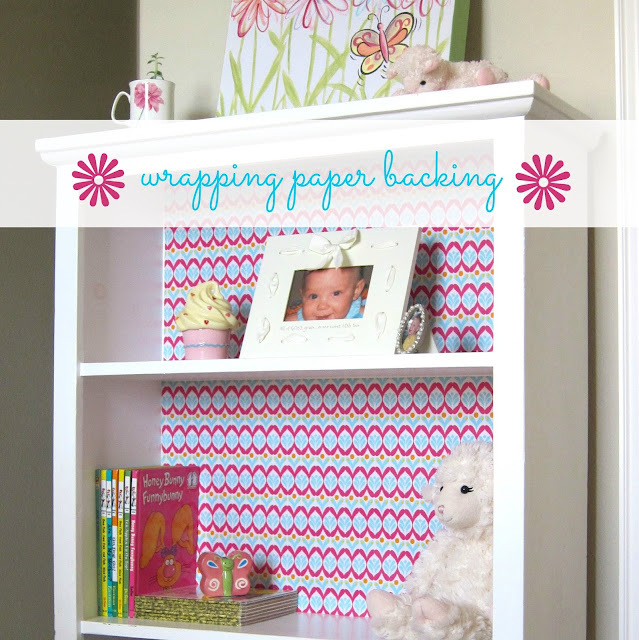 The first thing we did is remove everything and lined the back of her shelves with wrapping paper. I walk through the Target dollar bins almost every time I go. And I'm usually looking for the $1 wrapping paper. I came across this roll last week and love the bright colors and chic pattern. I get so much use out of wrapping paper other than wrapping gifts. Love color and pattern it added to Lyla's bookshelf! Next we sat down and organized her books. We actually donated several that she has out grown and then moved many to our playroom. And finally we minimized her accessories that would go back on her shelf to create a much neater look. Love the new look! I tacked the paper with double side tape in the corners, so whenever we tire of it or it gets worn...down it goes! Now we are off to cheer camp for the first time. And today marks one more week until school starts - yikes! What a awesome idea!! I love the colors! Thanks Amanda! My daughter loves it!